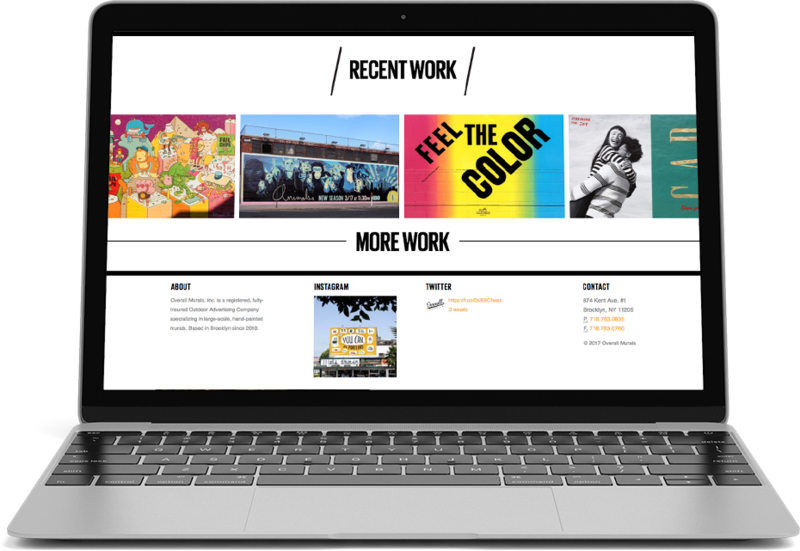 Frank Collective design studio brought me in to help develop Overall Murals, NYC, WordPress powered website. I referenced skeleton framework, designed custom buttons and graphic elements on site. Customized XHTML/CSS template then uploaded on to WordPress.